How to build a 383 Stroker? - 2019 Mechanic Guides! How to build a 383 Stroker? One of the most popular upgrades in the history of Stroker engines is the formidable 383 that is based on a 350 engine. 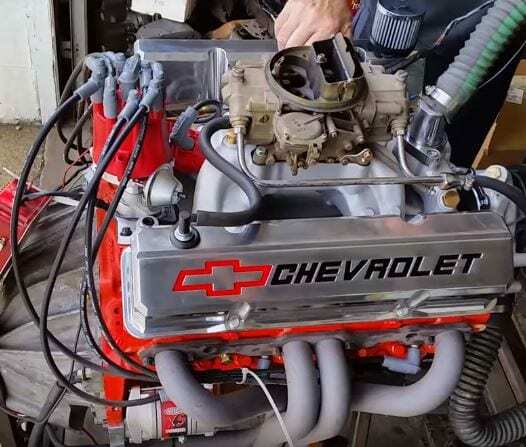 This small block engine was and still is extremely popular in the hot rod scene, and there are so many configurations to play around with, that the end product, a 383 Stroker engine can be as different from one another as there are engine blocks on the planet. Obviously, the starting point of any 383 Stroker upgrade is the engine block, and there are two options to rebuilding a 383, either start from scratch and source for all the parts, or by a kit. The only option that doesn’t let you build a 383 is buying one in a crate. (no fun there, apart from unpacking the crate). So, first find a decent 350, and you will find many such engine blocks in scrap yards, on sale, and online. Use a four bolt main model these are usually LT-series, and while easy to use, the ancillaries do cost a bit more. To start with, you need to bore the block up to 4.030”, this is a 0.030 increase in size. Make sure the main bores are aligned and honed and mill the deck surfaces flat. I also recommend you take the lifter bores too. The next step is to find and purchase any one of the numerous 383 Stroker crankshaft with the rod, and piston kits found online. One option is to find a factory 400 set. However, these are usually hard to find as a complete set of crankshaft, rods, and pistons. Now, once you have them, you need to have the main journals cut down from 2.65 inches to 2.45 inches. The other, and preferred option is to buy a set of 383 rods and pistons as a kit; these will come ready to use and will give you a 9.5-to-1 compression with a 64-cc combustion chamber. The next step is to find a set of fully assembled L31 GM Vortec cylinder heads. You can find used, or new, the difference is in price obviously, and new will last longer than used. These are first-generation Vortec heads, and they provide 239/147 cubic feet per minute of air flow at the 0.50-inch lift. This flow supports around 490 horsepower in stock form, and they directly bolt on any 350 small-block. If you want to know where to look for used L31 heads, consider looking under the hood of all 1996-1999 GM full-sized trucks, 1996-2003 Chevrolet Tahoe and Express models, as well as all 1996-2003 GMC Savanna, Yukon and 1999-2000 Cadillac Escalade models. After you have procured a set of heads, go out and buy an intake manifold that fits a carburetor to the Vortec heads. There are many brands to choose from; I personally like the Edelbrock Performer RPM however you can get really good Weiand and Professional Products models too. Are all done? Nope, not yet. Now you need to install a hydraulic, flat-tappet camshaft, for a tame one consider a 222-degree intake and 229-degree duration at 0.050. It should also have 0.500-inch lift intake with 0.510-inch lift exhaust (comes with 1.6-to-1 rocker arms) and a 112-degree lobe separation angle. After this, coat the piston tops, and the combustion chamber roof with a thermally insulating ceramic powder coating. This will helps retain the heat and pressure inside the engine from leaking into your cooling system and engine bay. To finish off, you should top off the engine with 1.6-to-1 roller-tipped rocker arms, a 700-cfm carburetor, and a GM HEI distributor. Apart from these, you will need all the standard or aftermarket multi-spark ignition box with wide-gapped spark plugs. Don’t forget the oil pump too. When you build according to the above specifications, you will create a 383 Stroker engine that gives you 425 HP at 5,300 RPM, and a 450 pound-feet torque at 4,500 RPM. This design will run smoothly, purr like a kitten and retain a cool performance. It can also run on standard 91 octane, but adjust the timing if you do use that gas. What is a Stroker motor? What is a 347 Stroker? How to build a 383 Stroker with 500 HP? 496 Stroker – Basic Info! What is a 331 Stroker engine? How to stop Rust on your Car?